Nikki Sixx and Tommy Lee have reunited for a studio project. 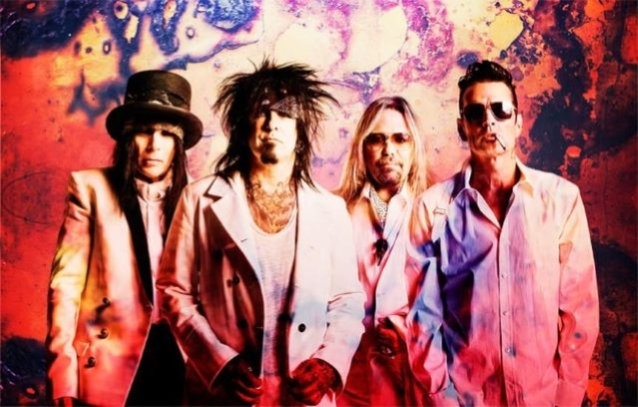 MÖTLEY CRÜE fans have speculated that they the trio were working on music for the film adaptation of the group’s biography, “The Dirt – Confessions Of The World’s Most Notorious Rock Band”. The movie, which is being helmed by “Jackass Presents: Bad Grandpa” director Jeff Tremaine, is being produced by LBI Entertainment‘s Julie Yorn and Rick Yorn, along with Erik Olsen and Amanda Adelson, who wrote the script. Netflix will distribute the project, which was previously at Focus and before that at Paramount. MÖTLEY CRÜE‘s last studio album was 2008’s “Saints Of Los Angeles”, which was followed by a 2009 “Greatest Hits” compilation. A tour film about MÖTLEY CRÜE‘s final shows, “The End”, came out in 2016. In 2015, MÖTLEY CRÜE completed “The Final Tour”, closing the book on the band’s iconic career after performing a total of 164 shows in 72 markets, grossing over $100 million. To cement the sense of finality, the four members of MÖTLEY CRÜE in 2014 publicly signed a “cessation of touring” contract that prevents any of them from performing under the CRÜE name in the future.